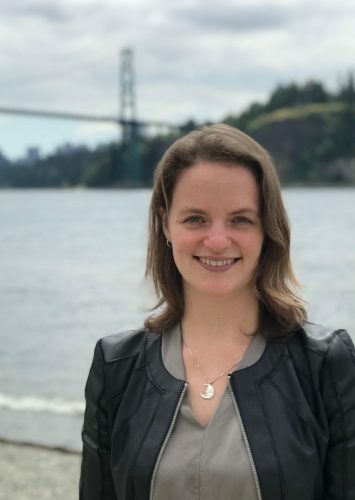 Violist Erin Macdonald enjoys an active freelance and teaching career in Vancouver, performing with the Vancouver Symphony Orchestra and other regional ensembles. A native of the Sunshine Coast, Erin recently returned to the West Coast after completing her Masters of Music at the University of Ottawa with Rennie Regehr and her Alexander Technique Teacher Certification with Brigitte Caron. While in Ottawa, Erin served as Senior String Director of OrKidstra, an El Sistema inspired program promoting music as a means to empower youth and create social change. Ms. Macdonald has been a member of the Ottawa and Gatineau Symphonies and had an active violin and viola studio with Ottawa Suzuki Strings. Ms. Macdonald holds degrees from The Royal Conservatory of Music (Art. Dip), where she studied with Steven Dann, and the University of Victoria (B.Mus), where she studied with Joanna Hood and the Lafayette String Quartet. Erin is thrilled to be joining the faculty at the Vancouver Academy this fall.